Amazon.com and American Express are running a promotion where you can get $30 off $60 your Amazon.com purchase when you pay with at least one MR point. The offer is targeted, and you must activate it to qualify. The promotion will end at 11:59 PT on 12/31/2019. Offer applies only to the purchase of at least $60 of eligible products, where Membership Rewards points are used for at least a portion of the purchase and the promotion code is entered at checkout. Taxes, gift-wrap, and shipping and handling charges do not apply when determining minimum purchase amount. The maximum benefit you may receive from this offer is $30 per eligible Membership Rewards enrolled Card. Offer is not available to American Express Membership Rewards eligible cards whose points have been previously used for purchases at Amazon.com in the past twelve months. Offer only applies to eligible products shipped and sold by Amazon.com. To redeem the offer, you must be logged into an account which has been active for 30 days or longer. CardMatch is a tool that checks if you’re per-qualified for any cards or higher offers. A few people have been targeted for the 100,000 point Amex Platinum offer. Delta is having another flash sale for domestic, Latin America & Caribbean, Europe, and Asia destinations. 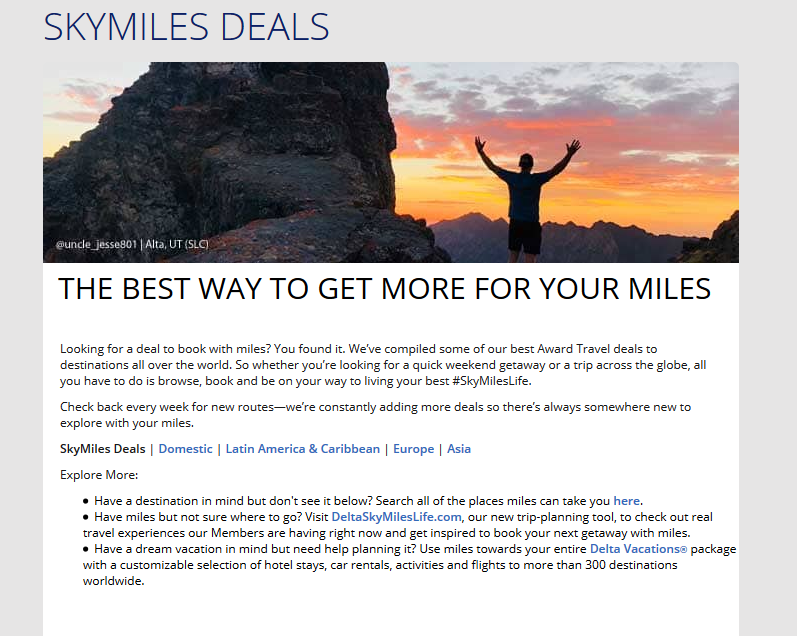 Get 25% more Air France KLM Flying Blue Miles when you transfer Amex Membership Rewards points through 4/29/2019. Get a 100% bonus when you transfer Capital One Miles to Emirates Skywards. This is the first time Capital One has run a transfer bonus promotion. Offer expires on 3/24/2019. The cards in my wallet rotate each month depending on if I add a new credit card or if I’m trying to maximize a 5% category.